There are a few “record stores” in Vancouver that have survived the swing from vinyl to CDs to iTunes and back! 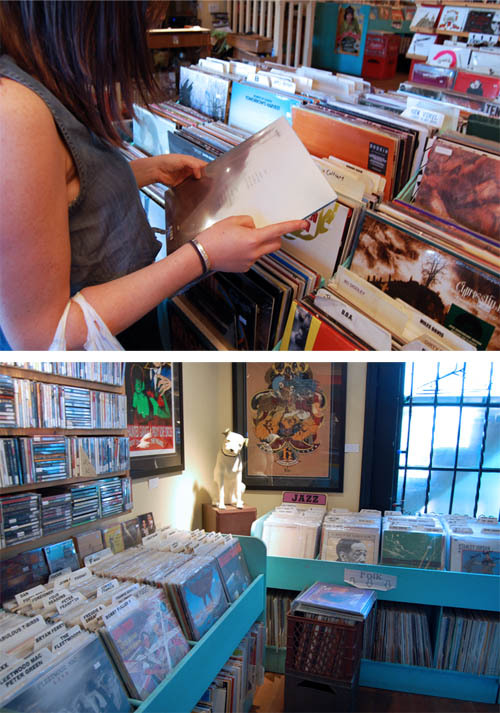 I recently visited one with my 20-something niece – Neptoon Records and CD’s on Main Street in Vancouver. It is a pretty cool space, with an eclectic mix of old and new releases. 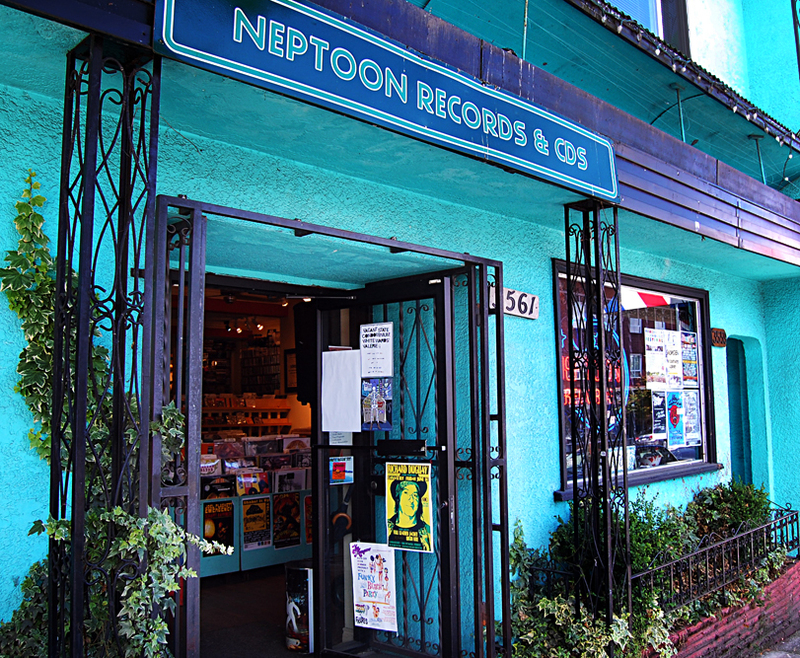 Opened in 1981, Neptoon is Vancouver’s oldest independent record store according to its website. Or, is it? I was around (and buying LP’s) in 1981 and I think Zulu Records on 4th Avenue also opened in 1981. Perhaps then, we are only talking about “months” older here (32⅓ years?). Regardless, both stores have survived the digital revolution. Other Record Stores in Vancouver include: Red Cat Records; Dandelion Records & Emporium and Vinyl Records on West Hastings. One of my all-time favorite albums, I own this on vinyl, cassette and CD – bought in that order. I own what I think is the greatest sound system ever invented. You can’t even buy anything like it anymore. And no, it’s not an 8-track player. It is this fantastic hybrid creature made by Toshiba (ca. 1989) – a combination turntable, dual cassette and single disc CD player, complete with speakers. For almost 25 years it has taken me through the 20th C evolution of sound and (apparently) back again. I am probably due for an update, as most of the time only one speaker works – but I still love its versatility. I am not an audiophile, so I won’t wax poetic about the sound quality of vinyl vs. CD [Better or worse? Discuss!]. Personally, I don’t mind the pops and hiss of vinyl, but at the same time I can admire the clarity and depth of a digital recording. Either way – I’m good. The ritual of flipping through a stack of LP’s, selecting the one you want to play, pulling the album out of the cover sleeve, inspecting both sides of the record and blowing away any dust, placing the record on the turntable’s spindle, gently pulling the tone arm towards the edge of the album, and slowly lowering it to the record’s surface…hearing a few pops and then… music! Finally settling back in your comfy chair with the album jacket in your hands reading the liner notes and admiring the cover art. And what cover art it was! According to some older male acquaintances, this “Whipped Cream and Other Delights” cover spawned many a young man’s fantasy in its day. Based solely on the cover art, I have become a big fan of Jonah Jones albums. 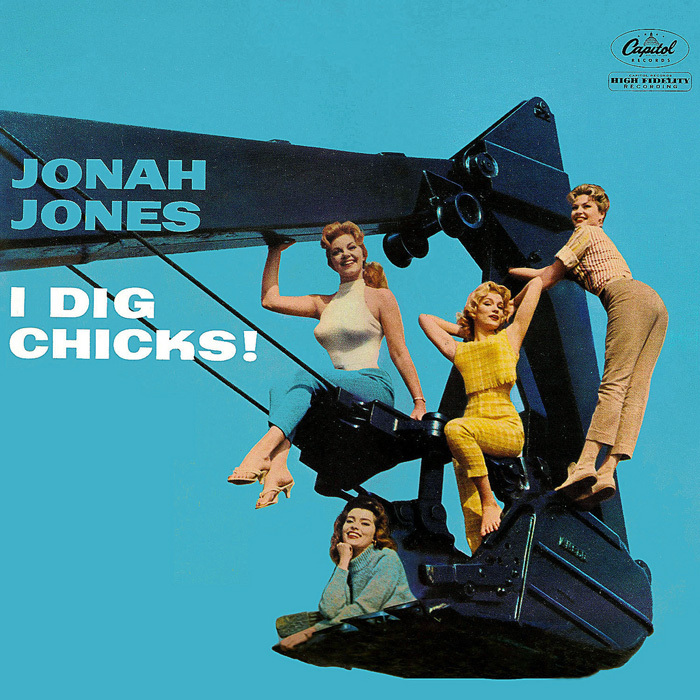 Cover of “I Dig Chicks!” – Jonah Jones, 1959. 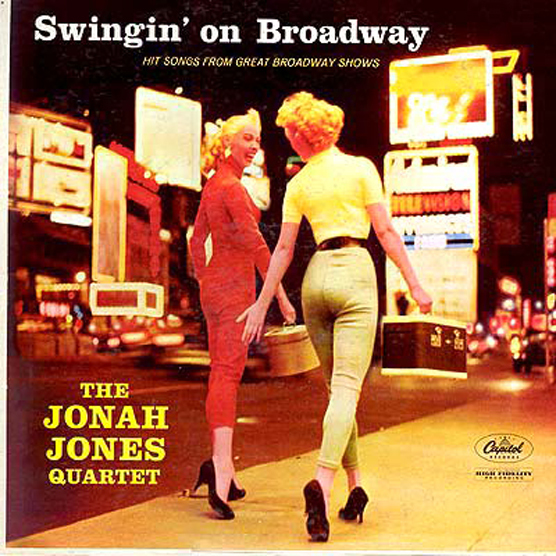 Cover of The Jonah Jones Quartet’s – Swingin’ on Broadway – 1957. I acquired both “I Dig Chicks!” and “Swingin’ on Broadway” at the same time and they make a great pair hanging on my wall ( the music is not bad either). I just love the photography on the covers of these records. They perfectly evoke a devil-may-care attitude of the jazzy 1950s. Just a bunch of happy girls in slacks hanging about town in Technicolor! 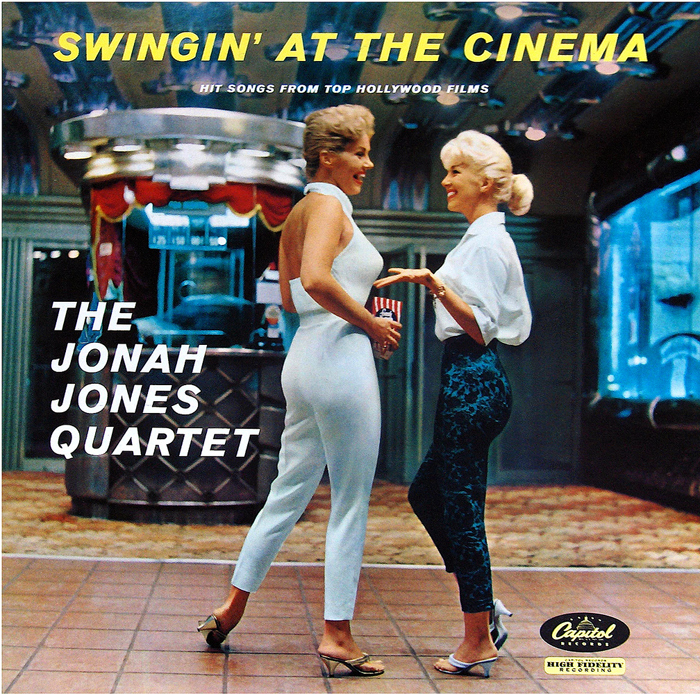 The Jonah Jones Quartet – “Swingin’ at the Cinema”, 1958. “A Touch of Blue” – The Jonah Jones Quartet, 1960. 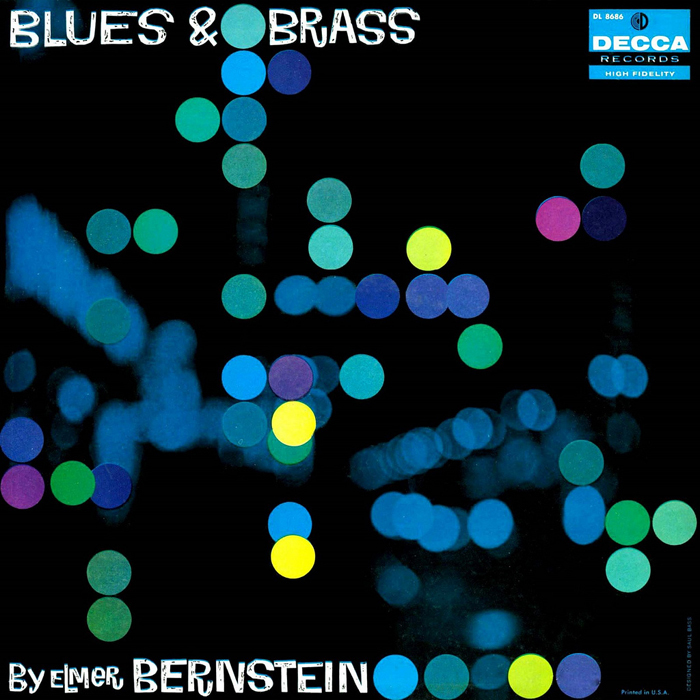 Cover of Blues & Brass – Elmer Bernstein (1956). 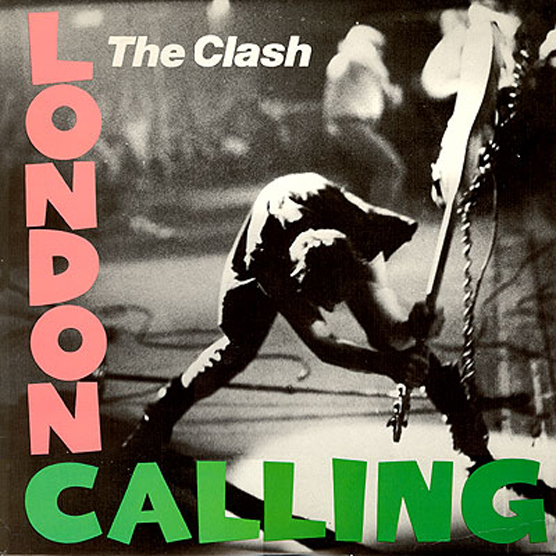 The graphic appeal of this album cover is fantastic, from the typeface to the colours. Nat “King” Cole – “Just One of Those Things”, 1957. 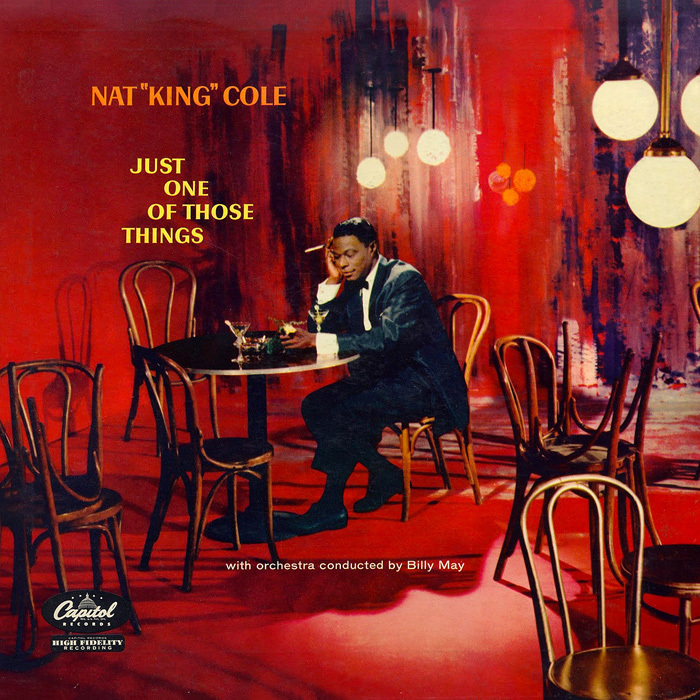 The intensity of the red and the abstract painting in the background contrasted with the elegance of Nat “King” Cole makes this album cover a keeper. In my opinion, Capitol Records produced some great cover art in the 1950s. It all started in the late 1930s when Columbia Records hired commercial artist, Alex Steinweiss as its first art director. He is credited with introducing the concept of original cover designs for albums. Originally, records were placed in brown, tan or green paper covers, with little or no decoration. “They were not attractive, and lacked sales appeal” Stienweiss noted in a 1990 interview. By the late 1940s all the major record companies were following Columbia’s lead. By the 1960s and 70s album cover art had become an important part of the culture of music. Think of the Beatles’ now iconic “Abbey Road” album cover and the Rolling Stones’, Andy Warhol designed, “Sticky Fingers” cover (where the original release featured a working zipper). 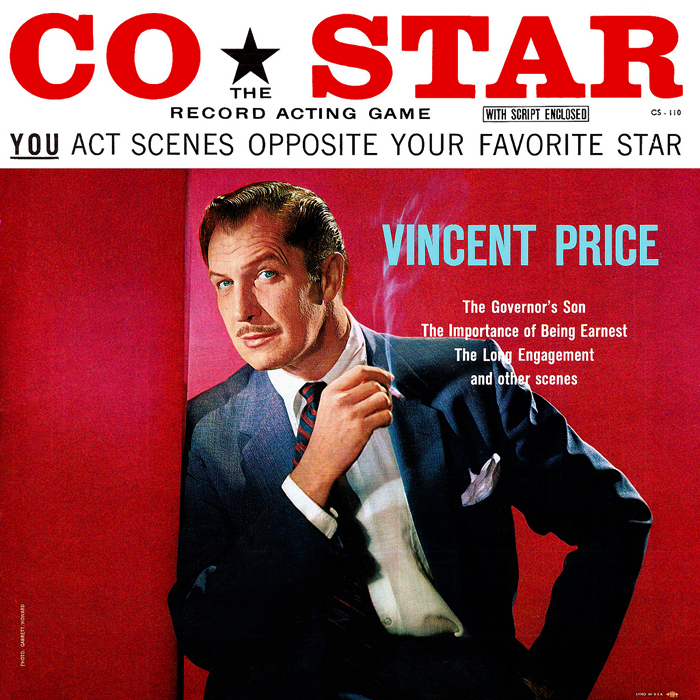 This Vincent Price album is priceless! Doesn’t Vincent look absolutely debonaire with his cigarette and pencil thin moustache? A “record acting game”? What fun! That Vincent Price he was always showing up in the oddest of places! Unfortunately, I don’t actually own this album, but I found the cover image on this great website – LP Cover Art. An entire website devoted to paying “tribute to the great old LP covers of yesteryear”. In the case of my collection of vintage LP’s, I am judging albums solely by their covers – or at least the visual appeal of the cover. If the music inside turns out to be good, well then, that is just the icing on the cake! Thanks for the tip about The Beat Merchant – http://www.beatmerchant.com/ in Steveston, Karen. And yes, that Some Girls album was great both inside and out! “Up To Date”.. ever notice that Simone was on the cover, but Reuben wasn’t? Yes, Up to Date, Sound Magazine, Whipped Cream… they’re all in the basement. My Up-To-Date (still in its original shrink wrap) is at my side. Christmas, possibly 1971, more likely 1972. I remember thnking, “Who the heck is that”? 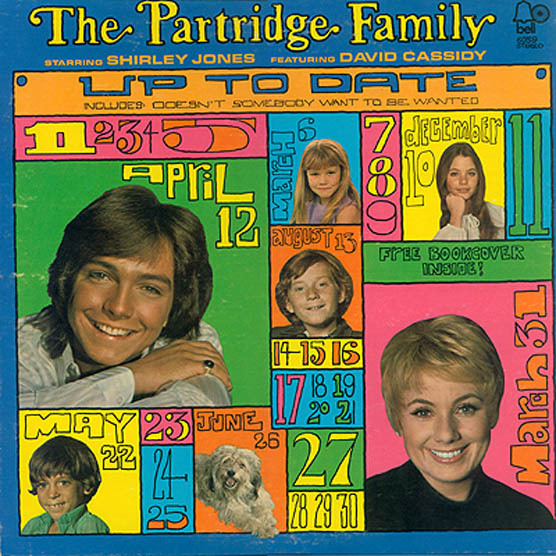 Crofton was late to join the Partridge Family, The only networks we could see started with a ‘C’ CBC, CTV, CBS. Any channel in TV guide with black numerals on a white background , KOMO, KING, KIRO, KCTS, KTNT, KTVW.. were the snow you skipped by changing the channel from 6 to 12 in 1/10 of a second….unless Dad was in the room. CBC picked up TPF by Season 2. Cablevision finally came to town c. 1972. Dave Madden had an interesting pre Partridge career.